For Direct Transfer to DVD. Edit, Share and Watch your videos on YouTube, Facebook and more! I THE CUSTOMER/CLIENT UNDERSTANDS THAT I AM BINDED AND AGREE TO THE TERMS AND CONDITIONS THAT DVFL HAS SET FORTH BELOW FOR SERVICES RENDERED. ALL DVD’S ARE CHECKED BY OUR LAB TECHNICIANS FOR PLAYBACK. BECAUSE OF SOFTWARE DIFFERENCES WITH EVERY PLAYER AND COMPUTER, WE CANNOT GUARANTEE PLAYBACK IN ANY SPECIFIC MACHINE. CUSTOMER IS ACCEPTING RESPONSIBILITY FOR THIS AND ABSOLUTELY NO REFUNDS WILL BE GIVEN. ALL DVD’S CREATED BY DVFL ARE GUARANTEED. SHOULD ANY PROBLEMS ARISE WITH DVD ERRORS, DVFL WILL MAKE IT’S BEST EFFORT TO RECTIFY AND RESOLVE ANY ISSUES. NO REFUNDS OR EXCHANGES WILL BE OFFERED. I, THE CUSTOMER, AM AWARE THIS SERVICE ORDER IS NOT A PAID ORDER RECEIPT. ACTUAL BILLING WILL BE BASED UPON TOTAL RUNNING TIME OF ORIGINAL FILMS/VIDEOS/PHOTOS/SLIDES SUPPLIED TO DVFL. All CLIENTS WILL BE GIVEN ESTIMATES BEFORE ANY TRANFER BEGINS, WEATHER WRITTEN OR VERBAL. UPON CONFIRMATION DVFL SHALL BEGIN JOBS AS PER CLIENTS INSTRUCTIONS. IT IS CLIENTS RESPONSIBILTY TO MAKE SURE THEY UNDESRSTAND CHARGES BEFORE GIVING FINAL APPROVAL. I, THE CUSTOMER, ACCEPT ALL RESPONSIBILITY FOR ANY AND ALL COPYRIGHTS WHICH MAY BE ON ANY MATERIAL PROVIDED TO DVFL BY ME, THE CUSTOMER, FOR TRANSFER. I UNDERSTAND DVFL HAS THE RIGHT TO REFUSE ANY CHECK OR CREDIT CARD AT ANY GIVEN TIME AND REQUEST CASH PAYMENT. REQUIREMENTS FOR CHECK ACCEPTANCE ARE AS FOLLOWS: MUST BE IMPRINTED WITH A CURRENT ADDRESS - NO P.O. BOX NUMBERS, DRIVER’S LICENSE NAME AND ADDRESS MUST MATCH THE NAME AND ADDRESS ON THE CHECK, NO TWO-PARTY CHECKS. IF WRITING A COMPANY CHECK, APPROVAL MUST BE HAD BEFORE JOB IS LEFT AT DVFL, NO OUT OF STATE CHECKS. ANY JOB REQUESTED IN LESS THAN OUR NORMAL TURNAROUND TIME WILL BE PAYABLE AS CASH ONLY. ALL RETURNED CHECKS WILL BE ASSESSED A $40 FEE AND DVFL RESERVES THE RIGHT TO PROSECUTE UNPAID CHECKS WITH COLLECTION AGENCIES AND THE LOS ANGELES DISTRICT ATTORNEY OFFICE. I, THE CLIENT UNDERSTANDS THAT I WILL NOT HOLD DVFL RESPONSIBLE OR FINANCIALLY LIABLE FOR ANY SHIPMENT OF MEDIA OR TAPES/FILMS THAT IS DAMAGED OR LOST BY ANY UNITED STATES CARRIER, USPS, FEDEX, UPS OR DHL. ANY LIABILITY OR CLAIMS FOR LOST OR DAMAGED ITEMS DURING SHIPMENT DEPENDS ON THE CARRIERS TERMS AND CONDITIONS AND IT'S THE CARRIERS/CUSTOMER RESPONSIBILITY TO MITIGATE SUCH INCIDENTS OR SITUATIONS. DVFL DISCLAIMS LIABILITY FOR LOST OR DAMAGED MEDIA OF ANY TYPE DURING SHIPMENT THROUGHOUT THE UNITED STATES. I, THE CUSTOMER, UNDERSTAND THAT DVFL IS NOT RESPONSIBLE, NOR DO THEY HAVE TO STORE ANY JOB LEFT BY ME FOR MORE THAN 60 DAYS AFTER BEING NOTIFIED BY DVFL OF ITS COMPLETION. I UNDERSTAND THAT ANY JOB THAT IS LEFT LONGER THAN 60 DAYS WILL BE DISPOSED OF BY DVFL, WITHOUT ANY WRITTEN OR VERBAL NOTICE. CLIENT UNDERSTANDS AND AGREES THAT DVFL WILL ALSO NOT BE HELD RESPONSIBLE FOR ANY LOSS OR DAMAGE OF VIDEO/FILM ELEMENTS AFTER THIS 60 DAY OF COMPLETION. CUSTOMER ALSO AGREES TO NOT HOLD DVFL LIABLE FOR ANY FINANCIAL AND/OR NON-FINANCIAL LOSSES. OR FILM BROUGHT TO DVFL WILL NOT BE AVAILABLE FOR PICK UP OR SHIPMENT (WHETHER IT BE ORIGINAL MATERIAL OR COPIES BEING MADE) UNLESS THE JOB IS PAID IN FULL. DVFL IS NOT OBLIGATED TO DETERMINE WHO'S PROPERTY VIDEO/FILMS OR OTHER ELEMENTS BELONG TOO. IT IS YOUR RESPONSIBILTY TO OBTAIN CLEARANCE FROM THE OWNERS. IT IS AUTOMATICALLY UNDERSTOOD BY DVFL THAT CLIENTS WHO ENGAGED WITH OUR SERVICES, ARE THE OWNERS OF THE VIDEOS/FILM AND OTHER ELEMENTS. IF YOU ARE BRINGING ANY MATERIAL THAT IS NOT YOUR PROPERTY, PLEASE LET THE OWNERS BE AWARE THAT IT WILL STAY AT DVFL’S FACILITIES UNTIL THE ORDER IS PAID IN FULL. DIGITAL VIDEO & FILM LAB, LLC IS NOT RESPONSIBLE FOR ANY CONTENT ON ANY TYPE OF MEDIA DELIVERED FOR TRANSFERS. IT IS THE CLIENT'S RESPONSIBILTY TO ENSURE THAT THE CONTENT THEY INSTRUCT US TO TRANFER IS THE MATERIAL THEY NEED/WANT. SHOULD THE CLIENT DISCOVER UPON DELIVERY THAT THE TRANSFERED MATERIAL IS NOT WHAT THEY WANTED, DVFL WILL NOT BE HELD RESPONSIBLE FOR THIS ERROR. DVFL SHALL NOT ISSUE ANY REFUNDS OR CREDITS AND DVFL WILL NOT REDO THE TRANSFER WITHOUT CHARGE. THIS SHALL BE CONSIDERED AS A NEW ORDER. CHECKS IF PERSONAL OR BUSINESS ISSUED IS ONLY ACCEPTED AT THE APPROVAL OF DVFL. RETURN CHECKS FOR ANY REASON WILL HAVE A $25 RETURN CHECK FEE. IF A CLIENT SETS UP AN APPOINTMENT FOR PICKUP AND ONCE THE ITEMS ARE IN DVFL'S POSSESIONS, IF CLIENT CANCELLS ORDER, THERE WILL BE A SERVICE CHARGE OF $75 FOR THE RETURN OF THE MATERIAL. CLIENT WILL HAVE TO ARRANGE FOR MATERIAL TO BE PICKED UP AT THIER EXPENSE. IF CLIENT DECIDES TO CONTINUE WITH JOB, WITHIN A 30 DAY PERIOD, THE $75 SERVICE CHARGE FEE CAN AND WILL BE USED AS A CREDIT TOWARDS THIER ORDER. A MIMIMUM ORDER OF $350 PER INVOICE TOTAL WILL INCLUDE COMPLIMENTARY PICKUP AND DELIVERY SERVICE. SHOULD THIS MIMIMUM NOT BE MET, A $75 SERVICE FEE WILL BE INCLUDED TO INVOICE. PRICES ARE SUBJECT TO CHANGE AT ANY TIME, WITHOUT ANY NOTICE. VERBAL ESTIMATES ARE THE MOST ACCURATE, SO PLEASE CALL TO MAKE SURE ALL PRICES ARE ACCURATE, BEFORE PROCEEDING WITH ORDER AND APPROVAL. DISCOUNTS OFFERED ON THIS SITE OR ANY OTHER SITE IF VERBAL OR WRITTEN OR IN ANY OTHER FORM, IS CONDITIONAL. IF A CLIENT FAILS TO PICK UP HIS COMPLETED ORDER 7 DAYS FROM DATE ON INVOICE, OR 7 DAYS FROM BEING INFORMED VIA TELEPHONE OR EMAIL IT WILL BE DULY NOTED THAT ANY DISCOUNTS AFTER THIS 7 DAYS WILL BE VOIDED AND PRICE WILL REVERTED TO ORGINAL TOTAL INVOICE AMOUNT WITHOUT DISCOUNT. CLIENT ACCEPTS RESPONSIBILTY FOR ALL ORDERS NOT PICKED UP AFTER 30 DAYS FOR BEING NOTIFIED OF IT'S COMPLETION AND DVFL WILL AFTER THE THE 30 DAYS NOTICE ON DATED INVOICE WILL PLACE ALL ORDERS IN STORAGE FOR A WEEKLY CHARGE OF $85.00 PER WEEK BEGINNING EACH CALENDAR WEEK FOR 7 DAYS BEGINNING ON EVERY MONDAY. DVFL WILL NOT BE HELD RESPONSIBLE FOR ANY LOST OF DAMAGE DURING THIS STORAGE PERIOD FOR ALL MEDIA AND CONTENTS. PLEASE NOTE, ANY ILLEGAL MATERIAL WILL BE REPORTED DIRECTLY TO THE RELEVANT AUTHORITIES. IT IS CLIENTS RESPONSIBILTY TO MAKE SURE THAT CONTENT IS LEGAL. 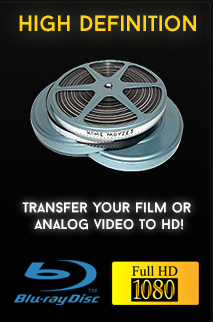 PreserveToDVD now offers beautifully color-corrected, High Definition scans of your precious 8mm film. 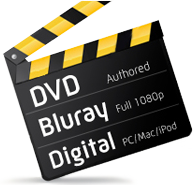 All-inclusive pricing: Transfers, DVDs, and Files are all included in the cost.